Uniformbooks' print version of The Most Difficult Thing Ever. For the last eight years Kevin Boniface has been writing succinct descriptions of events and incidents that have taken place whilst out and about on his postal round, his daily route taking him from the main sorting of ce to the streets and outlying neighbourhoods above the town. KEVIN BONIFACE is an artist based in Huddersfield, West Yorkshire. After graduating in art and geography in 1993, he joined the Royal Mail as a postman which has influenced his artwork ever since. Over many years, he has also produced zines, exhibitions, artists’ books, short films, audio recordings and live performances. 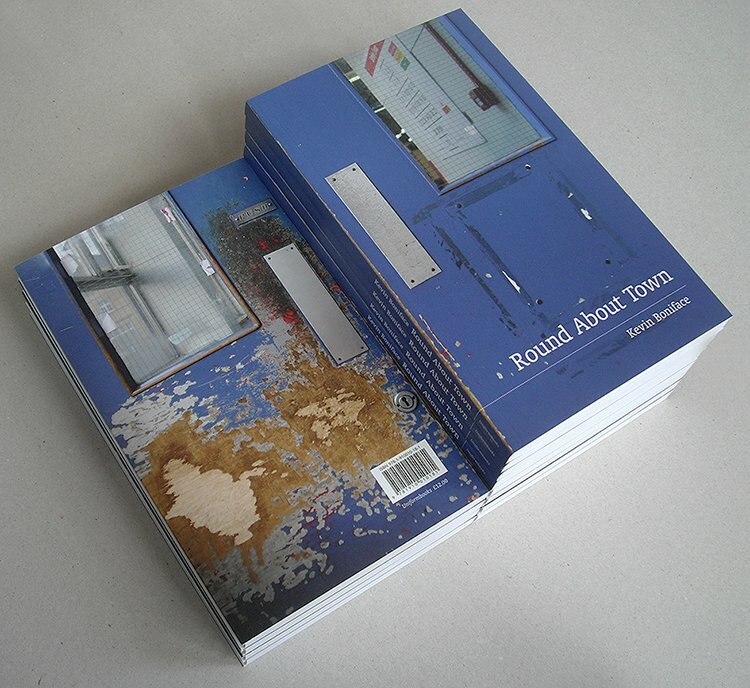 His previous publications include Where Are You? (2005) and Lost in the Post (2008). I've been working with Uniformbooks.co.uk to put together a print version of this blog. 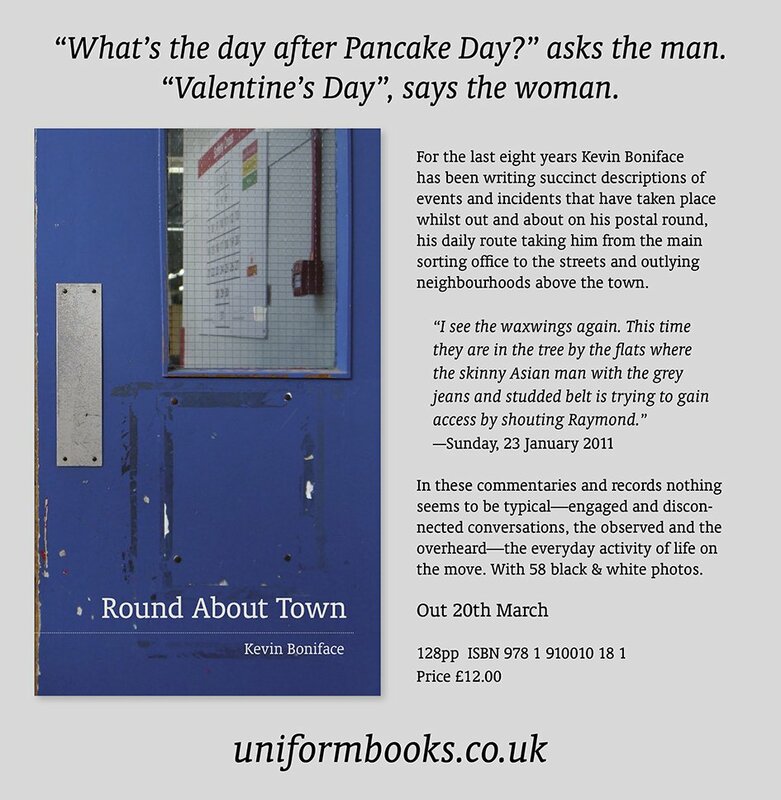 The result is Round About Town, available from 20th March. The book comprises the complete text from The Most Difficult Thing Ever—10th August 2010 - 25th February 2018—and 58 black & white photographs taken over the same period.